MR. P. Chidambaram. Titled ‘Mr. 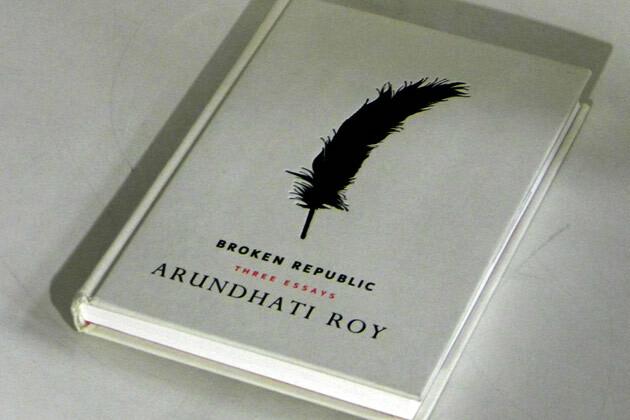 Chidambaram’s War’ Arundhati Roy makes each one of us pour into the book with that of a curiosity of a cat. The book is basically a collection of three essays: Mr Chidambaram’s War, Walking with the Comrades and Trickledown Revolution. The way she has handled sensitive issues in such a fearless way is appealing. I perhaps waited for a long time for the release of this book. After reading I realized that it was worth the wait and worth the pre-order. If drawn into comparisons her ‘The Algebra of Infinite Justice’ had more gripping stories. Arundhati Roy has proved a point by openly criticizing the Minister and also the higher delegates of the UPA. The book is also a collection of the various speeches she has made in India and around the world as well. The gruesome activities of the Vedanta Inc. has been remarkably shown which makes each one of us ‘Indians’ worry about the so-called multinational companies investing in India. The part which I was waiting for the most was her trip to Dantewada. The daily chores of the Maoists and a sniff of the daily lives of them makes it all the more interesting. The photographs also strike your mind. The smiles are captured in a brilliant way that no toothpaste ad could ever match up to it. To go into the forests, live with the Maoists, needs courage and she has that. Revolution when done by the poor goes unnoticed. She runs us through the times when the poor from Orissa, Andhra Pradesh had put up a revolt against the government and the mining corporations but all their hardwork turned futile. The government as usual turned a deaf ear to the misery of the poor. After reading the book, there might be possibilities of a rebel growing in you and that only if your heart beats for the poor, if it doesn’t it’s high time you visit a cardiologist. Arundathi Roy as always makes the road a lot more better and easier for female writers or even for the male fraternity to voice out their thoughts aloud so that it reaches the infected part of the society. Broken Republic is a must read for all those people who blindly blame the Maoists for their violence, who blame the poor for stalling development and lastly for those who vote for the UPA falling in for their fake promises. Not only does a cricket match make you feel that you are an Indian, such books infact tell you what you can do being an Indian. One Arundathi Roy cannot make a difference but atleast a thousand voices in support of can certainly make a difference. ....and that's how I died!